Since the new financial year, the real estate quarterly reporting cycle has uncovered a ‘perfect storm’ for investors looking to escape the southern capital markets of Sydney and Melbourne. A combination of improved jobs growth, falling vacancy rates and a stabilised rental market all point to Brisbane being the smart investors choice for 2019. The latest SQM Research report on rental vacancy rates suggests that the heyday of property investment in Sydney may be over. The report found that while Brisbane’s vacancy rate remains slightly higher than Sydney’s at 3% (down from 3.6% year-on-year according to the report), the market is showing signs of improvement. 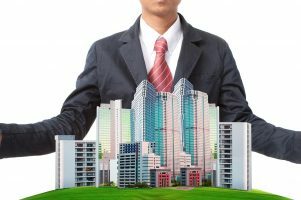 When compared to the national vacancy rate for capital cities, which in June 2017 was 2.3%, Brisbane’s vacancy rate might seem like a negative when comparing investment opportunities. However, there are other factors at play. For example, when jobs growth is taken into account the numbers begin to stack up favourably for the river city, according to SQM Research managing director Louis Christopher – who spoke with the Daily Telegraph. Mr Christopher said Brisbane’s had an issue of slow job creation – which has improved recently, prompting more people to relocate north of the border. 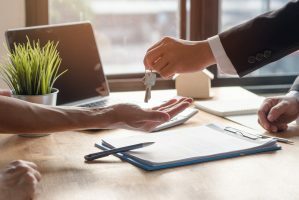 Falling vacancy rates and an improved jobs market can result in rents going up, as demand begins to outstrip supply in the market. However this is not the case for Brisbane thanks to years of high supply growth in the inner city markets. During the construction phase of these developments, there were fears that an oversupply would force prices down – and this has occurred in some pockets of the river city. 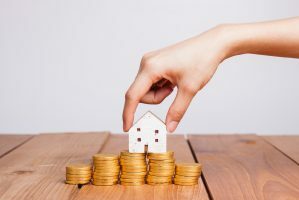 Generally Brisbane remains the most affordable capital city for renters, according to the Domain Group’s June report, which showed Brisbane tenants pay some of the cheapest rent in the country. The median asking rent for a house in Brisbane is $450 a week and $390 a week for units, with neither of these figures having changed in more than 12 months, the data showed. Propertyology managing director Simon Pressley spoke with the Domain Group, and believes Brisbane’s rents had been largely stagnant for the past five years due to minimal growth in wages rather than any oversupply in the rental market. But this stagnation is unlikely to continue into the long term, according to Domain Group data scientist Nicola Powell – who said the increasing inflow of interstate migrants to Queensland would eventually bring Brisbane’s protracted period of stagnant rents to an end. Citing the same job growth and migration data that has lead to a recent reduction in vacancy rates, Ms Powell said growth is expected over the next period. Taking a step back, the outlook for investors in Brisbane for the 2019 financial year seems positive. Vacancy rates are falling at the same time new stock is coming onto the market. Jobs growth and hence interstate migration are up, while median rents for both houses and units are some of the lowest in the country. It’s the perfect storm for the smart investor.